Bradenton Beach Mayor John Chappie, left, building official Steve Gilbert, attorney Mark Barnebey for the city, speak to Louis Najmy and Aaron Thomas of Najmy Thompson, in a hallway at the Manatee County Administrative Building. The sewer line serves Manatee County customers east of Bradenton Beach and south to Longboat Pass and is more than 40 years old and 10 feet underground. Kaleta attended for a few minutes at the meeting’s start and said he intended to build a small pool over the sewer line on one of the three properties. Kaleta said he is working with Bradenton Beach’s building official to avoid the sewer pipe at the two other properties. County attorneys responded, saying the meeting first needed to identify the conflicts. 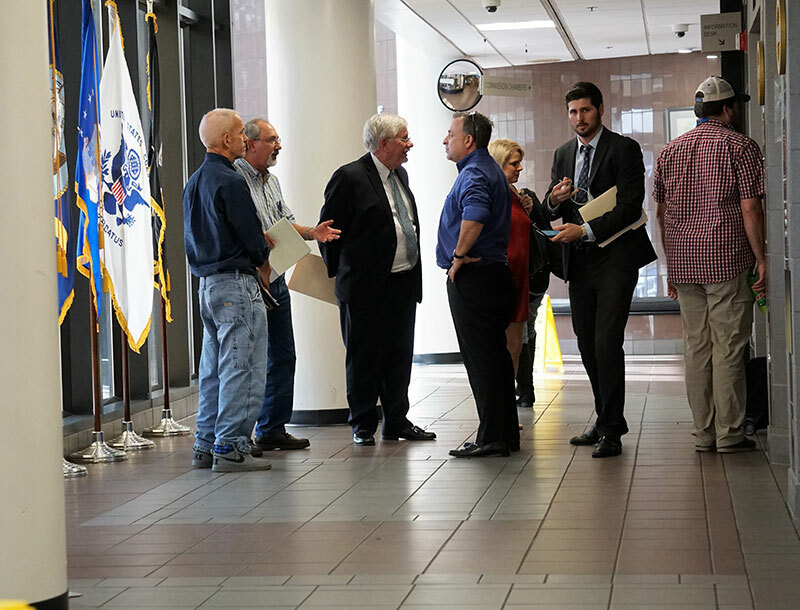 Manatee County assistant attorney Katharine Zamboni said she sees two — one being the opposing views about the city’s 2001 resolution and the second, a challenge by the city and Kaleta to the timeliness of the county’s suit. The county maintains the city resolution, which purports to vacate a street right of way, was void because it failed to properly identify the street to be vacated and the properties impacted. 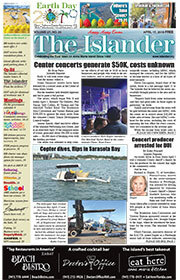 Bradenton Beach stands by its resolution. At the meeting, Hunzeker, attorneys and staff agreed the county wants a 20-foot easement, 10 feet on either side of the utility line, prohibiting pools and buildings, elevated structures and any excavation deeper than 2 feet. Hunzeker said the pipe serves 150,000 customers who shouldn’t be burdened with paying the cost to move the line. “If we allow someone to build a structure over the line and it ruptures and the EPA gets involved, it’s going to be an intentional act on our part as opposed to a negligent one and the fines would reflect that,” he said. Attorney Jason Gaskill argued the county was time-barred in challenging the vacated property and seeking an implied easement. Title companies on numerous properties have insured over the risk, he said. Also, Gaskill and another Kaleta attorney, Louis Najmy, argued the vague language of the city resolution didn’t support a county claim of an implied easement. “Let’s be clear, moving forward with building a pool is not necessarily going to break the pipe and cause destruction,” Najmy said. To settle, the Kaleta attorneys propose their clients would give a written easement and indemnify the county against damage caused to the pipe for five years, provided that the Kaleta companies could still build pools on the three properties. The indemnification would cover pool installation and also allow the county or city to tear up a pool at no cost if they have to replace the pipe, according to Najmy. “Considering so many other homeowners already built homes and pools over this pipe over the last 15 years on their properties, the county would be in a much better position than they are now,” Najmy wrote in a Jan. 12 text. 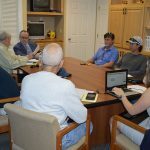 Chappie and attorney Mark Barnebey said they’d relay the parties’ positions to the city commission during a shade meeting, which allows governmental bodies to meet in private — an exception to the state’s Sunshine Laws — to discuss pending litigation. “Maybe we’ll be going back to federal court,” Najmy said after the meeting. The county operates the line in the public right of way on Bay Shore Drive — identified incorrectly as Bay Drive South in the 2001 resolution — adjacent to the eastern portion of properties at 112, 114 and 116 S. 11th St. Pool permits for the three properties are pending with the city.